I’ve been looking forward to this concert for sometime now. 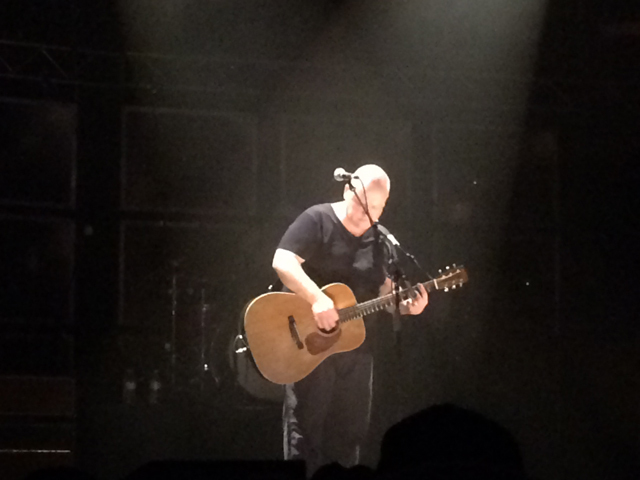 This was my second time seeing the Pixies live [first time was in September 2004 – almost 10 years ago] and my daughter’s first time. 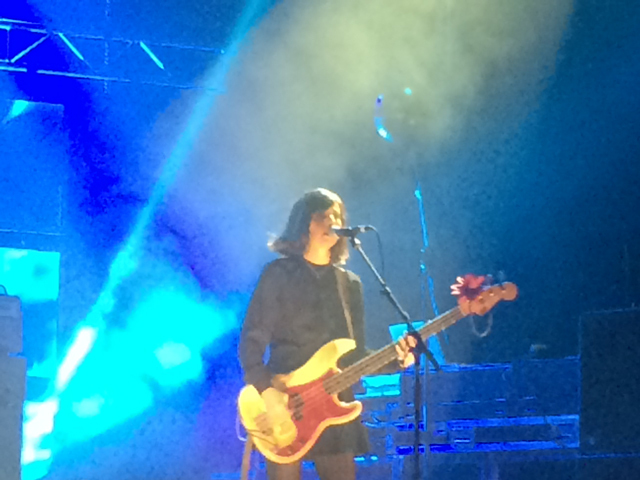 The absence of Kim Deal was to be expected, but thanks to a great fit by Paz Lenchantin, the vocal harmonizing didn’t miss a beat, note or lyric. Mostly unseen but heard the entire night was David Lovering on drums, sporting a full beard and the occasional vocal fill-in. 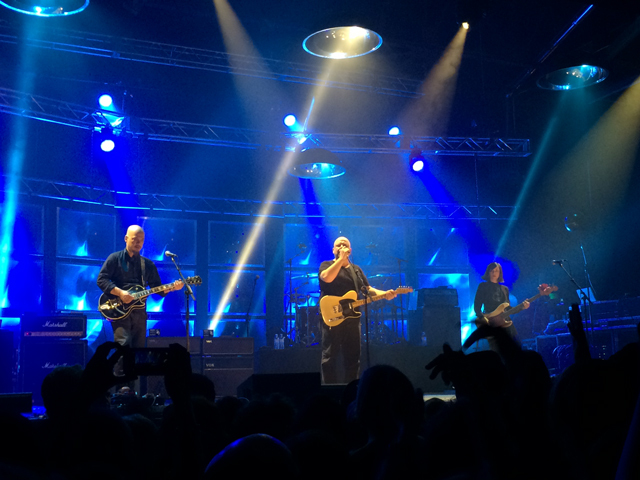 The entire band was spot on and played a great set of their hits and new songs. The photos we took were a bit washed out due to the extensive light show that was constantly changing or how often the lights reflected very brightly off the back part of the stage set. But thanks to my daughter using her camera and the multiple pictures I took, there were a few nice shots to use for this post. In the mix of 34 songs played in just a hair over 2 hours, the hits were pretty much all here. With the exception of “Gigantic” which would have made for a nice addition. Also absent was “Another Toe”, which is one of their best new songs from last year’s EP1. Another missed opportunity was playing “Palace of the Brine” which normally plays right after “U-Mass” on the 1991 album “Trompe Le Monde” This would have been a perfect piece since the Saltair venue sits right off the Great Salt Lake and the lyrics of that short 1:34 track are specifically about the band’s visit to this very place. Joey’s guitar work took center stage towards the end of the show, with him expertly using note for note riffs to “talk” to the audience. What he lacked in smiles was more than replaced in perfected shredding. 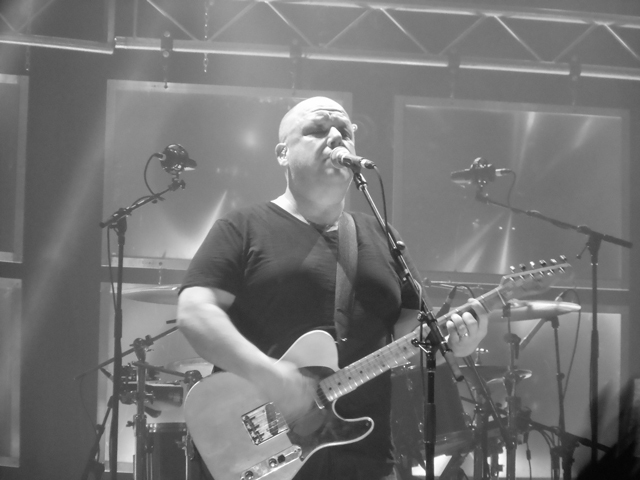 Of course, the man of the hour – center stage – is Black Francis. The leader of this band. 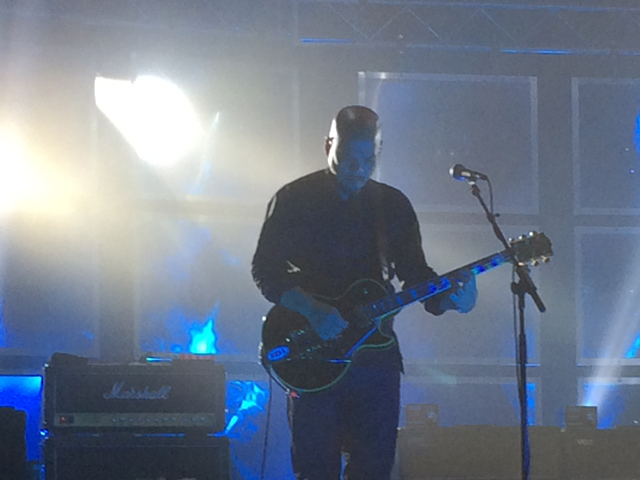 Without him, The Pixies are not the Pixies. With him, the presence of his vocals, guitar strums and vivid spot at the center mike, is felt with each song, by each person in the audience. Commanding the set list, songs like “Hey”, “Here Comes Your Man” and “Indie Cindy” came to life. Then the power screams in “Blue Eyed Hexe” replicated the studio release, which was a sound experience I was anticipating. Overall, with my minor nit-picks, I really loved the show. I enjoyed it very much. The opening band Best Coast helped by prepping us with their 45 min set with a mix of songs from their two studio albums and last year’s EP. Yeah, being in a crowd taking pictures with constant bright lights from the stage, it’s hard to get a good shot.